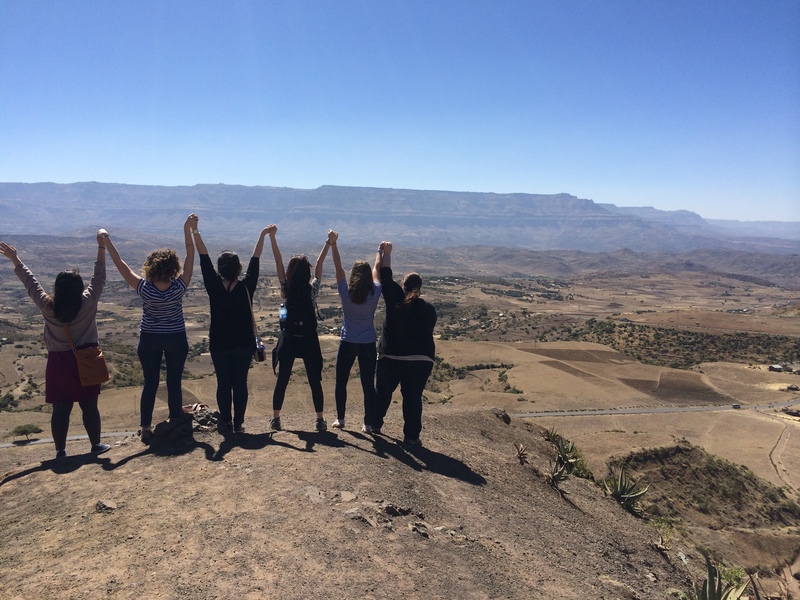 (Not so) Live from Lalibela! 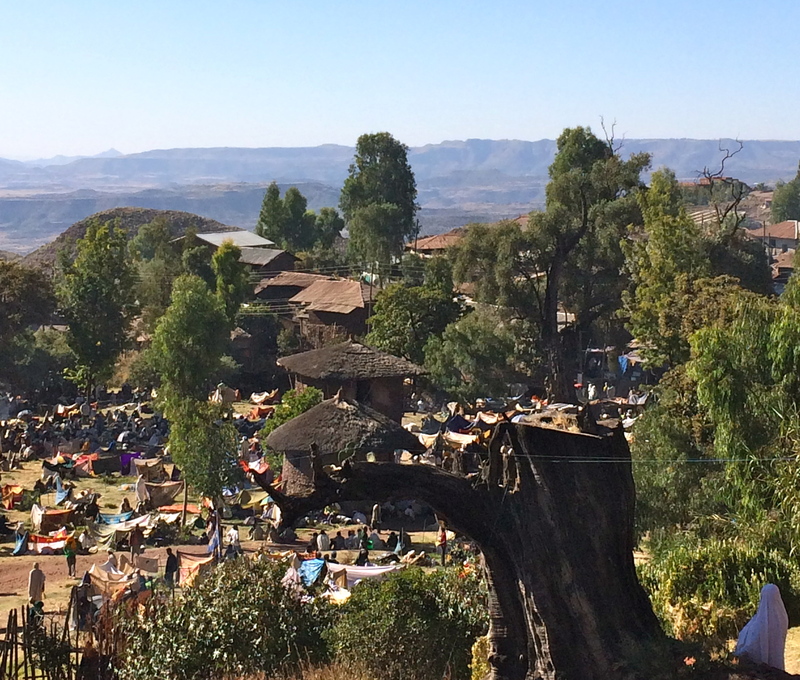 We got stuck in a bit of donkey traffic, as there are hundreds of people making the pilgrimage to Lalibela for Christmas. 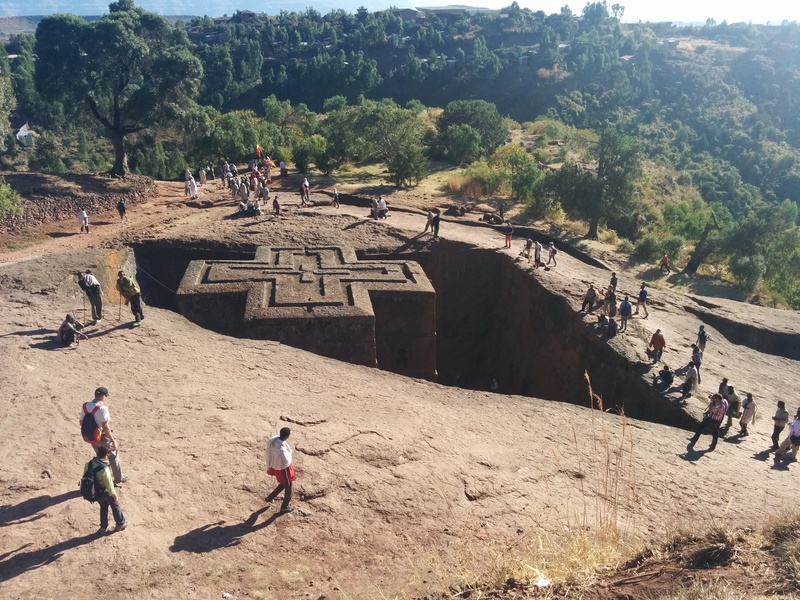 They are coming to pray at the 12th century rock-hewn churches, which were carved right into the ground of the mountain and are truly remarkable. But more on that later. First we went to the market, which was big and loud and crazy and crowded and overwhelming and wonderful. Then we walked over to some of the churches, and passed through the pilgrims’ lively campground. We visited a cluster of churches. Every detail in the architecture held significance, down to the shape and configuration of the windows and the number of carved decorative arches. One was the largest monolithic church in the world, but even that barely held a candle to St. George’s Church (Beit Giyorgis). While approaching the church from above, we could hear chanting and clapping. When we descended, we joined a group of women pilgrims, clapping as they sang and danced in praise of St. Mary. It can only be described as magical. In case you’re wondering, they practice Ethiopian (Eastern) Orthodox Christianity, which combines the old and new testaments with the Book of Miracles. We finished our day by meeting to begin preparing for our work at Nehemiah on Monday. Sightseeing has been fantastic, and now we are excited to dive into work! Note: We got a bit behind in the blogging during our travels, so be sure to check the previous post below from Friday 1/2! You must leave extra travel time you never know when you may get stuck in donkey traffic. The pictures look amazing this blog is so great keep the posts coming! !